JetBlue is testing a new system that would mean passengers no longer need to show a boarding pass at the gate before getting on a plane, CBS Los Angeles reports. It looks like a scene out of a futuristic science fiction movie: a machine that scans a passenger's face so he or she can board an airplane without showing any documentation. Starting in June, JetBlue will start testing facial recognition technology for flights from Boston to Aruba. Some passengers welcomed the experiment. "I'm normally traveling with my little guy," Amber Esquibel said as she and her young son checked in for a flight. "Having to juggle my phone and my boarding pass, sometimes it's a little complicated and stressful. Just to scan me, that'd be amazing." "Phones have the fingerprint recognition. So I think it's a good idea," said passenger Ashley Atkins. "It's just kind of weird," traveler Olivia Gonzales said. "It's the same feeling with location services on phones – how they're always following you. It's kinda like the same thing." "I don't even use Snapchat because of that. I'm kind of more private," another traveler, Lianna Deguzman, said. "I don't like the idea of having my face in the system." JetBlue is not alone in testing this new technology. 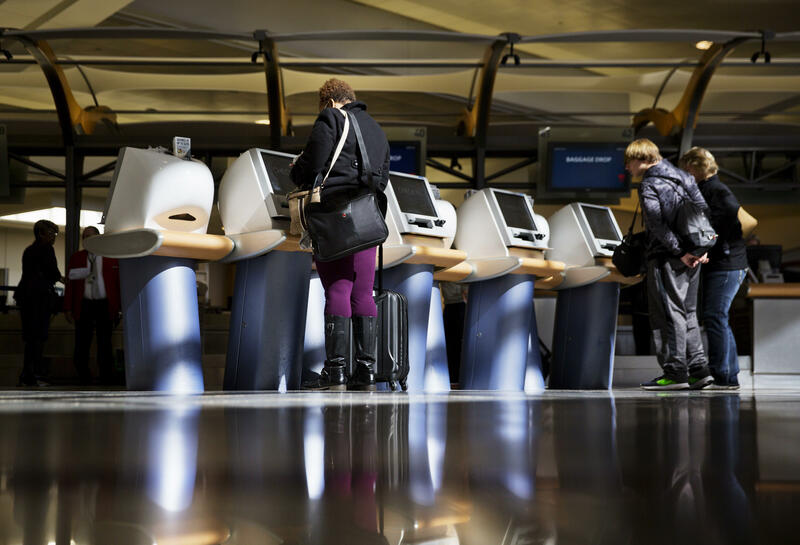 This summer, Delta Airlines plans to test facial recognition technology at Minneapolis-St. Paul International Airport to match passengers with their passport photos, clearing them to check their own bags without the help of an agent.